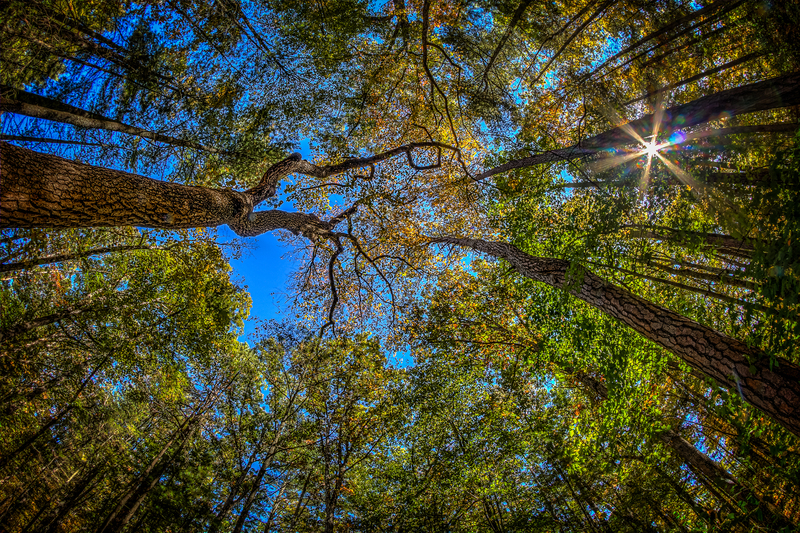 Take a walk through the forest and look up. That’s it. If all lines run across the frame toward the center of a fisheye lens the lines end up straight. | Order a print of this image.